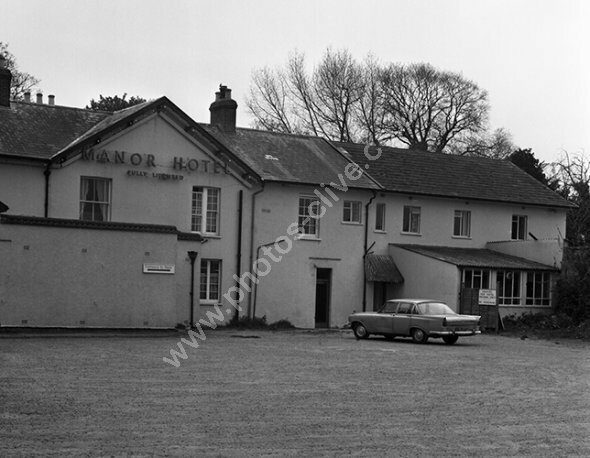 Now demolished (late 1990s) for a housing estate the manor Hotel has a car (identity?) in the car park CVG 987C registered in 1965. For commercial use of this photo, including use on another website, please visit Alamy.com and search for M5JJCP. For a one-off print please see below.